Tina Campbell preached her first sermon in front of a congregation last Sunday. 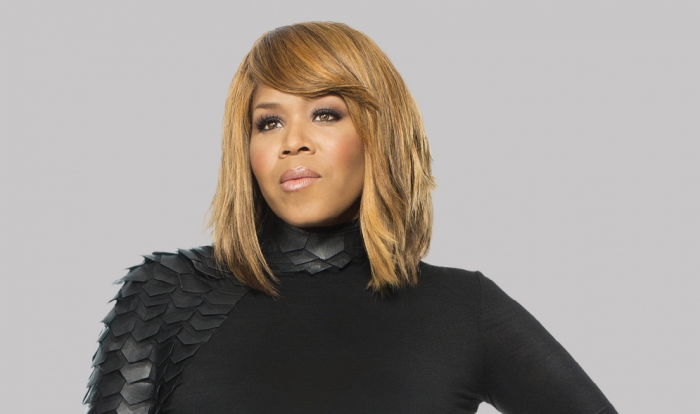 Tina, the Mary Mary gospel singer, took to Twitter to glorify God while revealing that she preached her first sermon on Jan. 18. "Happy Sunday folks. Well, i preached my 1st sermon today," Tina tweeted. "I believe God was shining in me and through me. To Him be the glory." The singer's husband and drummer Teddy Campbell took to his own Twitter to support his wife last Sunday. "Us with #ApostleKimDaniels after Tina's FIRST sermon," he wrote on social media. "Yep... I said it! Tina's first sermon! Message entitled #WeShallOvercomeToday." Last year, the Mary Mary gospel singer spoke to The Christian Post about a special night she created where she previewed her upcoming book, solo music and testimony at her church for "An Evening With Tina Campbell." Although she had yet to preach her first official sermon when speaking to The Christian Post last Nov., Tina spoke about sharing the message of God with others in different ways. "I mean I really wanted to share with people what He's done," Tina told The Christian Post last year. "When people go through devastating scenarios in their lives, they go through a great transformation. Sometimes I'm singing that, sometimes I'm saying that, sometimes I'm praying and confessing that." For Tina, it is important to surround herself with other people of God in worship experiences, which she hopes to provide in her own unique way. "The Bible says the devil is roaming like a roaring lion seeking whom he may devour. He comes to steal, kill and destroy," Tina told The Christian Post last year. "I think every opportunity that we get to be surrounded by other worshippers, surrounded by other people of faith who are encouraging us and reminding us of scripture and stories of how amazing God is not just when you're broken."